At the Herzig Eye Institute, we are proud to be one of the first to offer patients Refractive Laser Assisted Cataract Surgery (ReLACS), the new standard in precision cataract surgery with the Catalys® Precision Laser System. Using the Catalys, Herzig Eye Institute’s world class surgeons are able to provide a gentle, highly customized cataract procedure with precision that is not achievable with traditional manual techniques. This is the most exciting advance in cataract surgery since phacoemulsification was introduced more than 50 years ago. WHAT IS CATALYS® AND HOW DOES IT WORK? The Catalys laser combines a state-of-the-art femtosecond laser and advanced 3D Optical Coherence Tomography (OCT) imaging to complete many of the critical steps of cataract surgery that were previously performed manually with hand-held instruments. The laser is utilized for corneal incisions, astigmatic correction, the central opening in the anterior capsule and fragmentation of the cataract. Using a laser to complete these steps increases precision, accuracy and safety during cataract surgery. Every eye has a unique size and shape. Catalys advanced 3D imaging technology builds a real-time map of your eye and tailors your treatment to that map. This enables Herzig Eye Institute surgeons to create a customized treatment plan that matches the unique characteristics of your eye. The laser precisely creates the necessary incisions in the cornea. Unlike those made by a hand-held blade during traditional surgery, the laser incisions have a unique shape and size guided by sophisticated software. This precision allows the incision to seal better and provide a potentially better refractive outcome meaning less chance of needing glasses after surgery. The laser can correct astigmatism more accurately with precisely placed curved corneal incisions. These incisions known as astigmatic keratotomy (AK) can be combined with a toric intraocular lens (IOL) to more finely tune astigmatic correction or the AK can be done on its own. The circular opening made in the patient’s lens with the laser is 10 times more accurate than an opening made manually. This has the potential to more accurately predict the IOL position in the eye, which ultimately leads to a more predictable refractive result. Using the laser for this step also makes the operation safer with more complex cataracts. The most important benefit of laser cataract surgery is that it is gentler on the eye. The laser is used to fragment the cataract into microscopic pieces resulting in 95% less ultrasound energy being necessary to complete the procedure. This prevents excessive trauma and potential damage to the cornea, which is the most important lens in the eye. A gentler and easier cataract removal which makes the cataract removal safer. The Herzig Eye Institute is dedicated to providing the latest (and safest) technological advancements for Advanced Refractive Cataract Surgery to increase your potential of regaining your full range of vision, including reading vision. 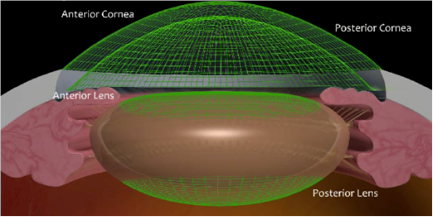 Utilizing multifocal intraocular lenses (IOLs) over 90% of patients are completely glasses free following Advanced Refractive Cataract Surgery. Careful patient selection is necessary to determine which patients are good candidates for a multifocal IOL. For those who are not candidates, the Herzig Eye Institute offers more advanced high definition monofocal IOLs, either an aspheric IOL that provides superior vision under dimmer light conditions or a toric IOL that corrects astigmatism thereby again reducing or eliminating the need for glasses for distance. NOT A RESIDENT OF ONTARIO? No problem. We’re still happy to help you with your vision. 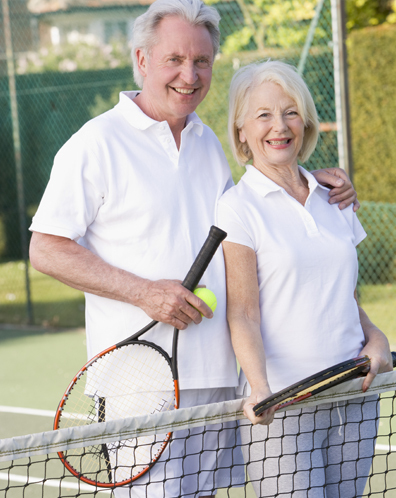 If you feel that you could benefit from laser cataract surgery, simply contact us or schedule a consultation below. Cataracts are a vision problem that nearly all of us will face. If you are concerned that you or someone important to you may have cataracts, ask your ophthalmologist or optometrist for a referral to the Herzig Eye Institute. If you prefer, simply contact us for a consultation. We’ll examine your eyes and make a recommendation for your best course of action. For more information about Cataract Surgery, please download The Complete Guide to Cataract Solutions.